“It’s very distressing because we’re not making progress. We’re not doing well, we’re going in reverse. 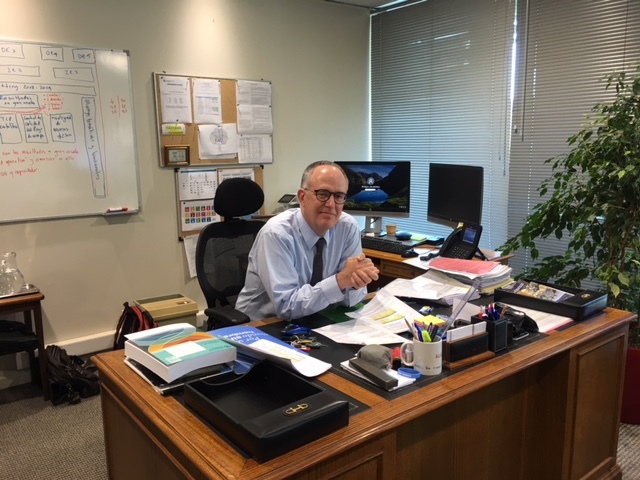 You can accept this in a year of great drought or a crisis somewhere, but when it’s happened three years in a row, that’s a trend,” reflected Julio Berdegué, FAO’s highest authority in Latin America and the Caribbean. 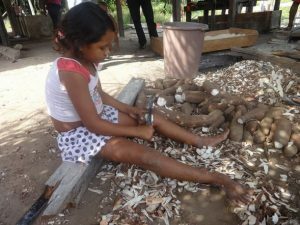 “More than five million children in Latin America are permanently malnourished. In a continent of abundant food, a continent of upper-middle- and high-income countries, five million children … It’s unacceptable,” he said in an interview with IPS at the agency’s regional headquarters in Santiago. “They are children who already have scars in their lives. Children whose lives have already been marked, even though countries, governments, civil society, NGOs, churches, and communities are working against this. The development potential of a child whose first months and years of life are marked by malnutrition is already radically limited for his entire life,” he said. What can the region do to move forward again? In line with this year’s theme of World Food Day, celebrated Oct. 16, “Our actions are our future. A zero hunger world by 2030 is possible”, Berdegué underlined the responsibility of governments and society as a whole. In addition, he stressed that policies for social protection, peace and the absence of conflict and addressing climate change are also required. In the small town of Los Muermos, near Puerto Montt, 1,100 kilometers south of Santiago, nine women and two male algae collectors are working to create new foods, with the aim of helping to curb both under- and over-nutrition, in Chile and in neighboring countries. Their star product is jam made with cochayuyo (Durvillaea antarctica), a large bull kelp species that is the dominant seaweed in southern Chile. “I grew up on the water. I’ve been working along the sea for more than 30 years, as a shore gatherer,” said Ximena Cárcamo, 48, president of the Flor del Mar fishing cooperative. The seaweed gatherer told IPS from Los Muermos about the great potential of cochayuyo and other algae “that boost health and nutrition because they have many benefits for people,” in a region with high levels of poverty and social vulnerability, which translate into under-nutrition. “We are adding value to products that we have in our locality. We want people to consume them and that’s why we made jam because children don’t eat seaweed and in Chile we have so many things that people don’t consume and that could help improve their diet,” she explained. In the first stage, the women, with the support of the Aquaculture and Fishing Centre for Applied Research, identified which seaweed have a high nutritional value, are rich in minerals, proteins, fiber and vitamins, and have low levels of sugar. The seaweed gatherers created a recipe book, “cooking with seaweed from the sea garden”, including sweet and salty recipes such as cochayuyo ice cream, rice pudding and luche and reineta ceviche with sea chicory. Now the project aims to create high value-added food such as energy bars. 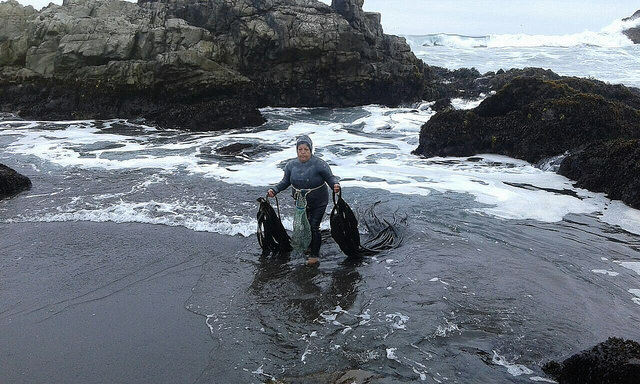 “We want to reach schools, where seaweed is not consumed. That’s why we want to mix them with dried fruit from our sector,” said Cárcamo, insisting that a healthy and varied diet introduced since childhood is the way to combat malnutrition, as well as the “appalling” levels of overweight and obesity that affects Chile, as well as the rest of Latin America. “Obesity is killing us…it kills more people than organised crime,” Berdegué warned, pointing out that in terms of nutrition the region is plagued by under-nutrition on the one hand and over-nutrition on the other. “Nearly 60 percent of the region’s population is overweight. There are 250 million candidates for diabetes, colon cancer or stroke,” he said. He explained that “there are 105 million obese people, who are key candidates for these diseases. More than seven million children are obese with problems of self-esteem and problems of emotional and physical development. They are children who are candidates to die young,” he said. In view of this situation, the FAO regional representative stressed the need for a profound transformation of the food system. “How do we produce, what do we produce, what do we import, how is it distributed, what is access like in your neighborhood? What do you do if you live in a neighborhood where the only store, that is 500 meters away, only sells ultra-processed food and does not sell vegetables or fruits?” he asked. “You have to change habits, yes, but you have to change policies as well. There are countries, such as the small Caribbean island nations, that depend fundamentally on imported food. And the vast majority of these foods are ultra-processed, many of which are food only in name because they’re actually just chemicals, fats and junk,” he said. The second of the 17 Sustainable Development Goals (SDGs), which make up the 2030 Development Agenda, is achieving zero hunger through eight specific targets. “In Latin America we don’t lack food. People just can’t afford to buy it,” Berdegué said. He also called for countries to strengthen policies to protect people living in poverty and extreme poverty. “FAO urges countries to rethink social protection policies, particularly for children. We cannot allow ourselves to slow down in eradicating malnutrition and hunger among children,” Berdegué said. “We have countries in the region where there is upheaval and governments have to know that this social and political turmoil causes hunger,” he concluded.